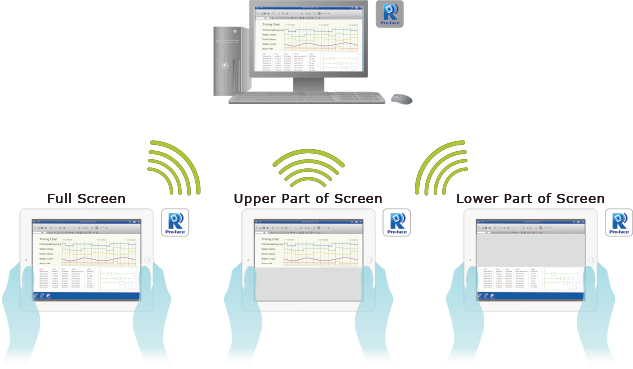 Pro-face Remote HMI Server is a Windows application to connect any PC or IPC with our Pro-face Remote HMI application and operate any kind of software via the application. 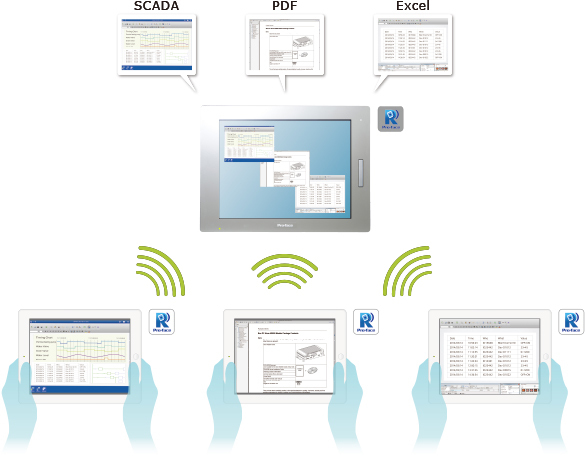 The Pro-face Remote HMI Server can be accessed by multiple Pro-face Remote HMI APP enabled smart devices and distribute different views and programs simultaneously. The option to distribute custom designed area besides the standard desktop view or program view improves user guidance and minimizes the need for software changes. 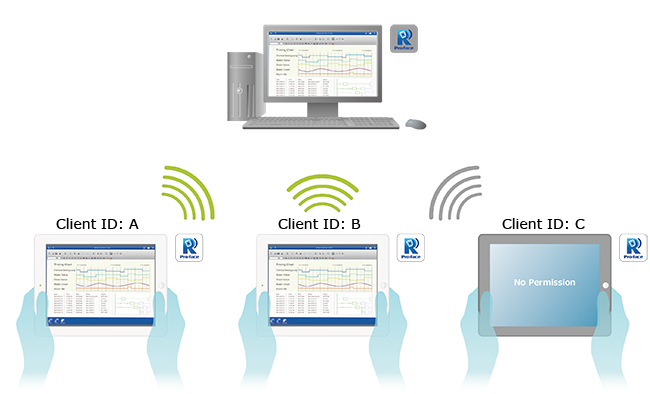 The access of each connection of the Pro-face Remote HMI Server can be restricted for certain smart devices only. This further is improves the security and prevent unintended operation.